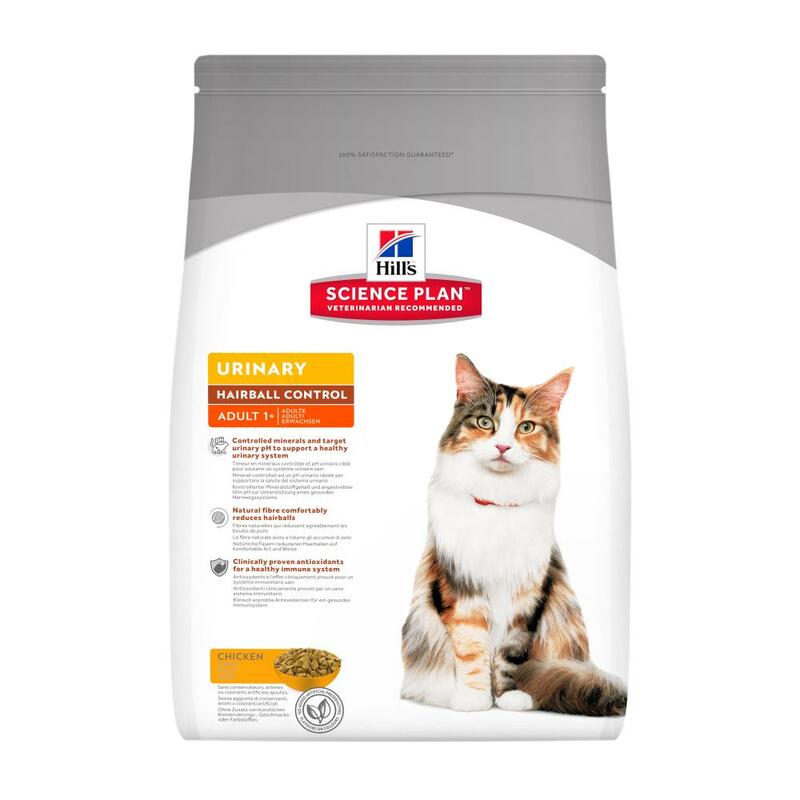 The fantastic Hill's Science Plan Feline Adult Urinary Health Hairball Control is a delicious chicken flavoured cat food, formulated to support urinary health in 1-6 year old cats. 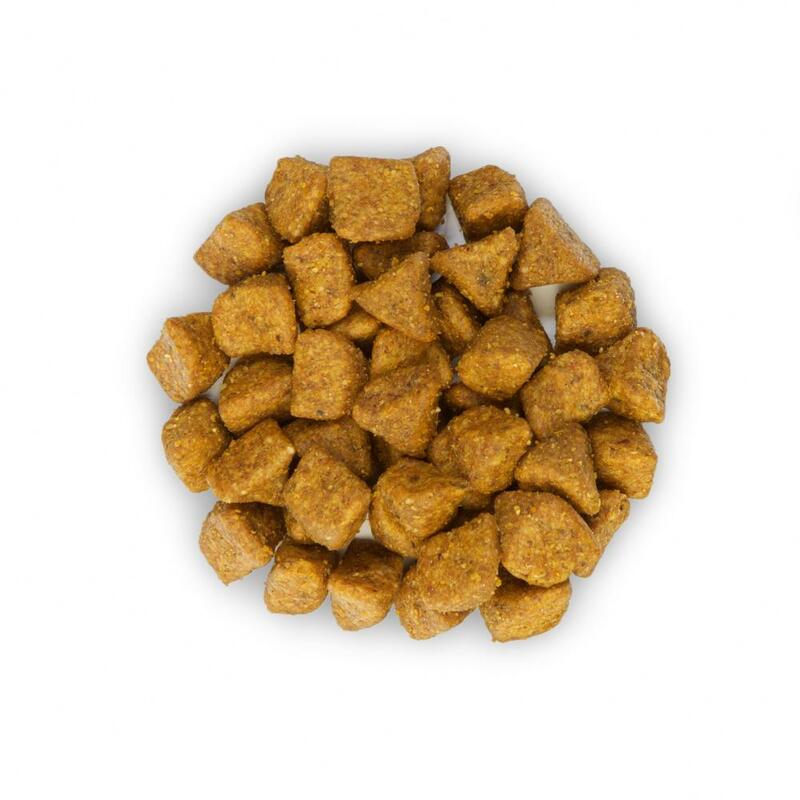 With natural fibre to reduce hairballs, this tasty complete food includes a mouthwatering 28% chicken and 43% total poultry within it. Providing a precise nutritional balance of energy, protein, vitamins and minerals, and avoids nutritional excesses, it also has no added artificial flavours, colours or preservatives. Perfect for your cat's individual needs. 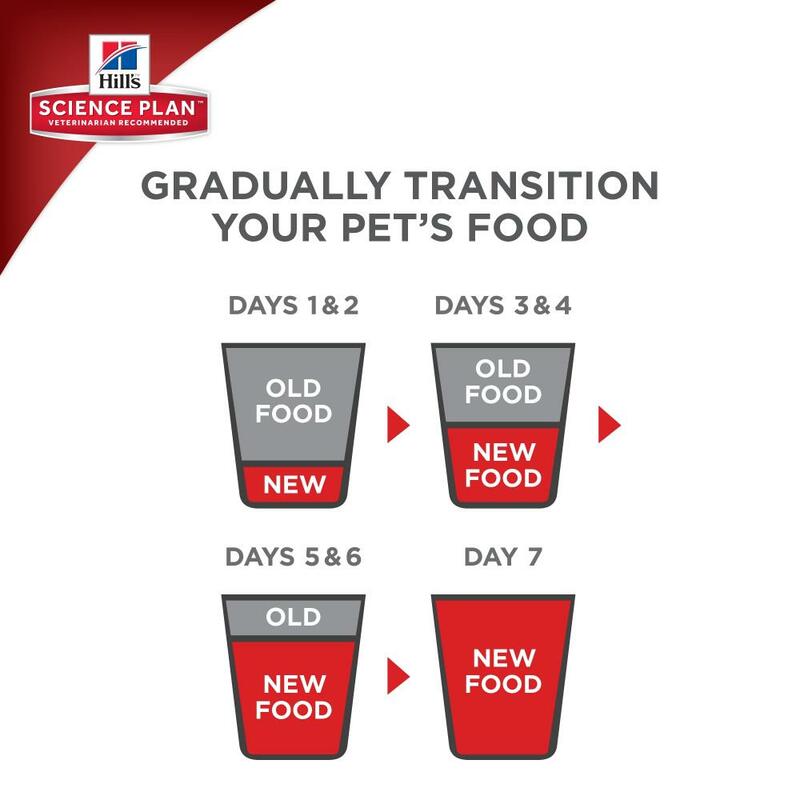 Poultry meat meal, maize, maize gluten meal, cellulose, animal fat, brewers´ rice, dried beet pulp, minerals, vegetable oil, digest, fish oil. Protein 31.7%, Fat content 17.7%, Crude fibre 8.0%, Crude ash 5.4%, Calcium 0.79%, Phosphorus 0.57%, Sodium 0.40%, Potassium 0.68%, Magnesium 0.07%; per kg: Vitamin E 800mg, Vitamin C 90mg, Beta-carotene 1.5mg. Nutritional additives: E672 (Vitamin A) 25,460IU, E671 (Vitamin D3) 1,340IU, E1 (Iron) 176mg, E2 (Iodine) 2.6mg, E4 (Copper) 22.3mg, E5 (Manganese) 7.7mg, E6 (Zinc) 150mg, E8 (Selenium) 0.4mg, with natural antioxidant. Recommended for: Adult cats, to support urinary health, with natural fibre to help reduce hairballs, from 1 year old until 6 years old. 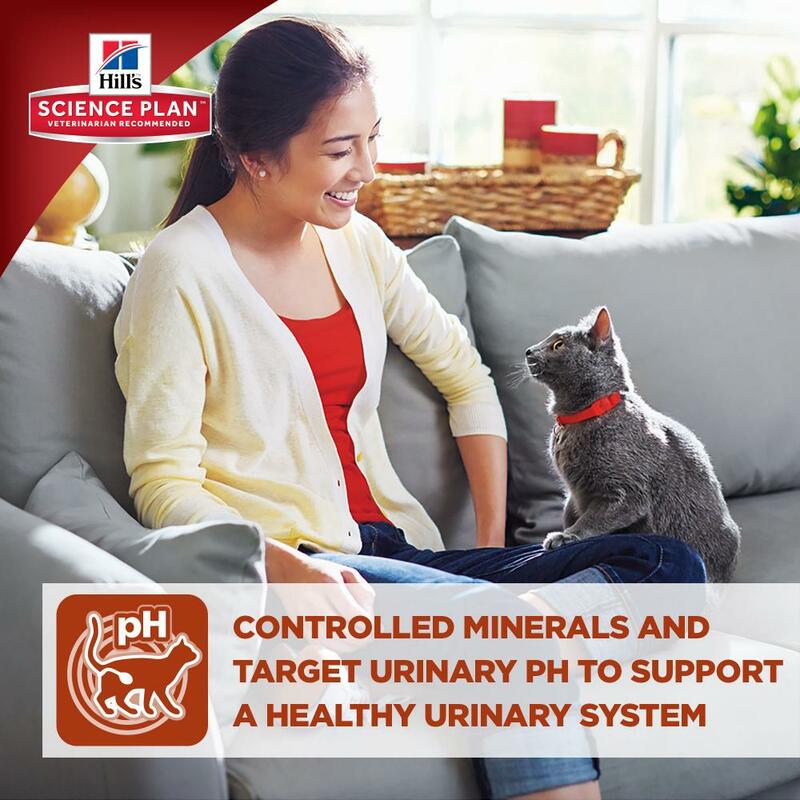 There are currently no questions for Hill's Science Plan Feline Adult Urinary Health Hairball Control - be the first to ask one!